When the Tikvah Program for campers with disabilities was started in 1970 at Camp Ramah in New England, no one imagined a day when people with disabilities would be meaningfully included in Jewish camping. Now, 45 years later, every Ramah camp in the United States and Canada serves people with disabilities. 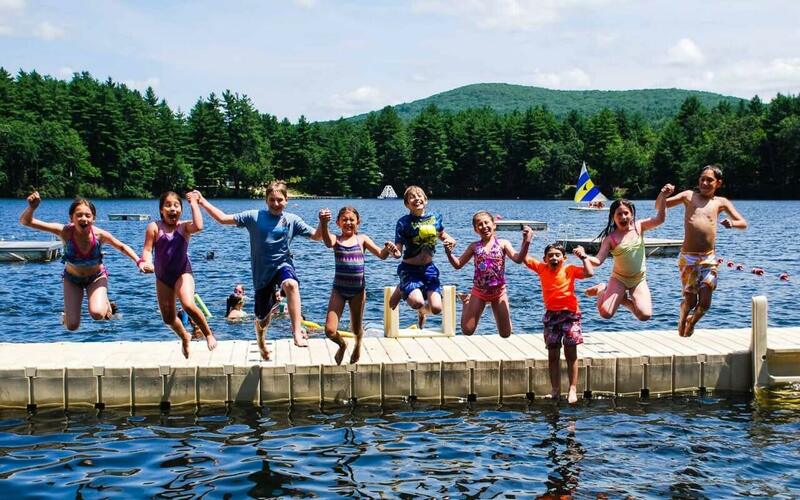 The National Ramah Tikvah Network includes overnight camp programs, day camp programs, vocational educational programs, family camps and retreats and Israel programs. At Ramah, inclusion is natural, seamless and expected. Tikvah began as a camping program, in one Ramah location, for campers aged 13 to 18. From the start, Tikvahâ€™s visionary founders, Herb and Barbara Greenberg, envisioned a day when the campers would grow up and desire opportunities to become productive citizens. Years before the Americans with Disabilities Act (ADA) was signed into law, the Greenbergs taught campers pre-vocational training skills such as following directions, appropriate dress, interacting with supervisors and co-workers and performing various jobs around camp. In 1993, Tochnit Avodah, the newly expanded vocational education program, moved into a newly designed vocational training building: an apartment-like complex with a full kitchen, washer and dryer and living area. Participants ages 18-22 spent a few hours each morning at job sites throughout camp. Twenty-five years after ADA and after many years of running vocational training programs for people with disabilities at four of our Ramah camps (California, Canada, New England and Wisconsin), we have learned a lot about the realities of job training and employment for people with disabilities. Guiding our work is the Americans with Disabilities Act, which makes it unlawful to discriminate in employment against a qualified individual with a disability, and a staggering 2014 report by the Bureau of Labor Statistics, that only 17.1 percent of persons with a disability were employed. And this number may be high. At Camp Ramah in New England, parents worry their adult children will â€œfall off the cliffâ€ after high school ends. In response, we have extended the graduation age for our voc ed program. We continue to partner with foundations and individuals like the Ruderman Family Foundation, the Harry and Jeanette Weinberg Foundation, the Poses Family Foundation, and the Ramah Israel Bike Ride and Hiking Trip, who share our mission. We recently hired outside consultants to help identify job clusters within camp that may help our participants obtain employment in the outside world, and we have hired outside job coaches to assist. We expanded our job offerings in camp to include food services (through our dining room, bakery and CafÃ© Ramah), hospitality (through our six-room Tikvah Guest House), machsan (supply room), mercaz (mail, package and fax room) and more. Our network of Tikvah Programs will continue to innovate in order to provide vocational training opportunities for people with disabilities. 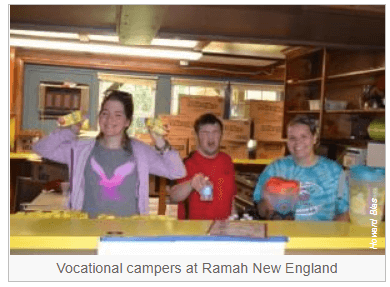 We hope and pray for the day where hiring people with disabilities will be as natural and commonplace as including campers with disabilities at Ramah camps.